Last year, Amazon reported that sales of its Kindle eBooks had outsold those of print for the first time. This will have come as no surprise to many, as even the most ardent booklovers appear to have been seduced by the eBook revolution. There are many positives to purchasing eBooks, not only can you fit an entire library on one device, but you can carry it around and use when travelling, not to mention that they are generally much cheaper than their print counterparts. Whilst many people mourn the demise of print books, as the Guardian recently pointed out, eBooks are a different genre altogether to traditional books. It’s relatively safe to say that print books will always have value as collectables, if nothing else. 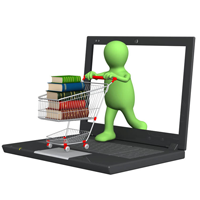 For the marketing professional, eBooks have a huge amount of value. Not only do they allow you to effectively distribute marketing material, such as industry reports, insights and so on, they also provide valuable data on the readership. Whilst Amazon has the capability to track user habits on the Kindle platform for marketing purposes, it’s unclear whether this information is available to third parties. Additionally, it’s wise to ensure you’re fully au fait with data protection laws in the countries you will be distributing the eBook in, before thinking about using any data that can be obtained. However, it is of course possible to track sales, gift eBooks and provide sample chapters to draw in a reader on Kindle. Further to this, it’s possible to include keywords and optimise an eBook in order for it to be found via search, as well as link the book to your website and by using the Amazon Affiliates program. When thinking about a subject for an eBook, it’s vital that, as with all online promotional material, the genre fits your industry. This means that if you’re website concentrates heavily on social, then so should the eBook. This will also help you to become an authoritative voice within your industry. Do your research, don’t write just another in-depth report on how to handle customer complaints, for example, without checking out if the subject is thoroughly covered on Kindle. Try to come up with an original idea or slant if you want to gain any success with the book. Once you have had your eBook manuscript written, proofread and checked thoroughly, it’s time to publish. First of all sign up for a free Kindle Direct Publishing account using either your existing Amazon account or by creating a new one. If using Word, it’s wise to pay attention to the layout as you go along, choosing H2 headers for chapters and creating an index. Adjust the layout so that it appears as you would like it to in the book, using line/page breaks, page numbers and images. You don’t need any specialist knowledge to publish using KDP, although basic HTML can come in handy, full formatting guidelines can be found on the KDP website. For the cover, you can use JPG with stock or your own images; or you can get a designer to make a cover for you. In order to publish your eBook, it’s just a case of signing in to your KDP account and selecting “add new item”. You can then fill in the name of the book, along with a short description and an ISBN number if you have one; if not, one will be assigned for you by Amazon. It’s then just a case of uploading the prepared document and cover and verifying that the material about to be published is yours, or that you own the rights. Next assign a price to the eBook, don’t be tempted to put a large price tag on it here, you want people to read it. Then hit publish and within 24 hours, your eBook will appear online and you will be able to market it. Why not place on your site as downloadable content? This isn’t a bad idea and has value for you to build a mailing list and create leads. However, you’re much more likely to get more exposure by publishing on the Kindle platform and it also lends more credibility. Not only that, but you can earn royalties of up to 70%, giving you an additional revenue stream that may be small, but everything helps. You can also distribute globally and translate the eBook into numerous other languages, although this will mean you have to employ a translator and is really only worth it if the book proves to be a success in the first language you published it in. Publishing on the Kindle platform gives another marketing avenue, which can be taken advantage of insomuch as text can be optimised and links included back to relevant pages on your website. It doesn’t mean that you can’t also publish eBooks as downloadable content for your website, it just gives another way to get your company name and ideas out there.